In a recent survey by TalentQuest, 92 percent of respondents felt it was risky not to have a succession planning program for key employees. Yet only 25 percent of the companies responding to a Stanford University study indicated they have identified adequate successors for those positions, and less than half have a formal process for developing such candidates. Having the bench strength to withstand the promotion, retirement, and attrition of key leaders is a key component of long-term success. Most leaders are so focused on what needs to be done in the present that they don’t invest enough in the future leadership needs of their organization. Ready employees who can fill newly open roles. Positions become vacant for any number of reasons, including unexpected attrition and illness. When organizations aren’t thinking years into the future, roles end up getting left vacant for weeks or months as the organization scrambles to fill the gap. When roles are vacant, organizational performance decreases. Faster ramp-up time and less cost for internal hires. Research from the Wharton Business School (University of Pennsylvania) shows that it can take up to two years for external leadership hires to match the performance levels of internal hires. 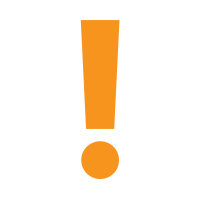 Hiring externally is more expensive and can be less effective than promoting from within. Increased employee engagement and commitment in the present. Studies show that having a strong succession planning/career development process results in increased employee engagement as they see the opportunities to grow their skills and get excited about a future role in the organization. What does a strong succession planning program look like? Learning & Development managers have many tools at their disposal when designing succession planning programs – coaching, assessments, training, and mentorship can all play an important role depending on the company culture and available resources. 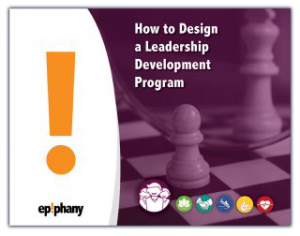 That said, Epiphany is a coaching company first and foremost because our experience tells us that coaching is the best method of sustainable leadership development. Coaching is a customized and personalized experience which takes into account each individual’s strengths, and supports them over time to make lasting changes. Organizations we work with make coaching the main component of a multifaceted succession planning program. Potential successors for key leadership roles are identified. We conduct an assessment (or multiple assessments) and work with HR to identify current leadership performance and required areas of growth for each participant. We help the client identify 1-3 development areas and work with them to prepare an individualized development plan that includes activities and metrics to support growth. We support our clients’ visibility to senior leadership for feedback and support on their career development journey that can include mentorship and special project assignments. We coach to that plan over a period of 6-12 months – sometimes longer! Succession planning programs are strategic initiatives designed to accomplish long-term goals, and participants are chosen very carefully. If your organization hasn’t already selected potential successors for specific roles, you can start by asking senior leaders to identify employees who they see as having high potential to fill their shoes once they move on. Leaders can then work with HR to create formal career development plans for these ‘rising stars’. The key to success at this stage is to ensure your selection process looks at not only technical skills but also demonstrated leadership attributes and a strong values alignment with the organization. Strong relationship skills – giving them the ability to influence up, across, and down. 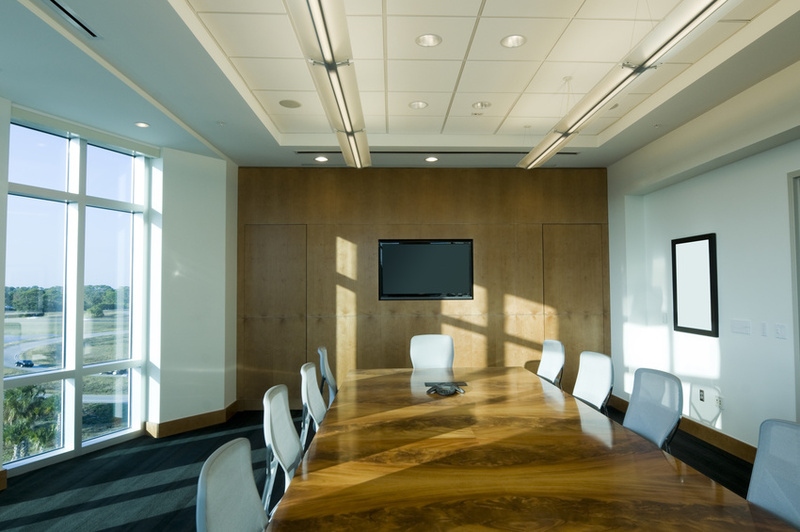 Executive presence – helping them be heard and send strong messages in boardrooms, presentations, and town halls. Strategic thinking – ability to step out of the day-to-day and focus on the big picture. Communication skills – to motivate and inspire others through change and uncertainty. Priority management – to set strategic objectives, maximize productivity, delegate effectively, and prevent burnout. When and how can you use Assessments, Coaching and Mentorship? It is important for leaders to gain awareness of their strengths and opportunities for development. You should use assessments at the front end of a program to start conversations with participants about their future growth. Most companies we work with begin with a 360-degree report, which compiles feedback from managers, coworkers, and stakeholders. Our clients also gain great insight through our proprietary RQ Relationship Intelligence™ Diagnostic Tool. An over-reliance on assessments and diagnostic tools can cause participants to over-index on the results, which can have the opposite effect of what is intended. We use assessment tools as a conversation starter to help clients explore how they see themselves vs. how others see them. Essentially, assessments and other tools help identify where there is alignment and where the blind spots are. Succession planning and leadership development are long-term initiatives that should focus on creating improvement over time. Coaching is highly effective at helping clients develop new skills and gain new insight. It is specifically designed to help clients make progress on their personal goals over periods of months or years. Because of this, coaching fits well at all stages of a succession planning program. Following the completion of an intake assessment, a coach is well-suited to facilitate a conversation between each participant and their manager about development opportunities. Coaches can then work with each client to ensure they make progress on their goals over time. For optimal success, we recommend that coaching programs consist of monthly calls with clients over a 6- or 12-month period, with manager check-ins at the beginning, mid-point, and end of the program to gather feedback on progress. Giving participants the opportunity to learn directly from the people they will eventually replace is an excellent way to preserve knowledge within your organization while building leadership capability. Having a defined structure to the relationship is important – meeting frequency and learning goals are two things that should be planned at the outset. On the surface, coaching and mentorship may seem like two ways of accomplishing the same goal. However, mentors exist to give advice from a place of internal experience. On the other hand, coaches work within a process that empowers clients to experiment with new concepts and apply them to their work over time. In our opinion, both are important – and complementary – elements of a succession planning program. The depth of your leadership bench is directly correlated to your ability to be agile and grow long term, and the first key step to increasing bench strength is to invest the time in making a plan for the future. Implementing a formal succession plan can not only prepare your organization for future success, it can drastically increase employee engagement and contribution now!